Having strategic joint ventures partners can help nearly any business grow at a faster rate. Here to tell us his method of how he builds JV relationships is 7-figure online entrepreneur, Kevin Thompson! Kevin’s had the “entrepreneurial bug” since high school. A Bering Sea fisherman (like the TV show “Deadliest Catch”). Kevin spent 7 seasons risking his life on the sea to amass $200,000 in savings when he was finally ready to start a business, safely on land! His first venture was a carpet cleaning business. And, while he was not risking his life by cleaning carpets, his business was slowly struggling due to the wrong marketing. What turned his carpet cleaning business around was meeting Joe Polish and discovering some of Joe’s marketing materials and advice. Shortly after implementing Joe’s suggestions, Kevin had one of the top carpet cleaning businesses in his area by catering almost exclusively to high-end homes, which created some major shifts in his way of thinking. The most significant change came from realizing that he enjoyed the marketing side, testing, and teaching others his system more than running his cleaning business. So, he sold the cleaning business 11 years ago and became a full-time online marketer! One of Kevin’s biggest leverage points was to approach people like Joe Polish who had an existing audience of carpet cleaners and other potential joint venture partners with similar audiences like home inspectors to come teach and sell his system at their events. Without necessarily realizing it at the time, Kevin was build his business based on JV partnering. 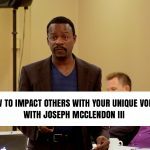 Like many others have noted, Kevin found that high profile influencers and entrepreneurs get approached constantly by others who are looking to take from them. However, what Kevin found from one of his mentors is that almost above all else, people who have attained that level of status value hearing that something they did or something they created helped you in some way. The simple concept of genuine appreciation. Kevin points out, it’s not a “tactic” or a “strategy”, showing sincere appreciation to others is simply a way of being. Our challenge to you is to implement Kevin’s advice and to take the time to send a text message to 15 people in your life who you want to show sincere appreciation to and do it just for the sake of making them feel good, without expecting or asking for anything in return. “Just stand back and watch what happens!”, after sending your texts, Kevin says! For more from Kevin, make sure you visit his website TheJVJedi.com to get access to his “A-List” entrepreneur partner attraction process! And, if you truly got value from this episode and Kevin’s teachings, please leave a comment below!